(Issue 25) We won't send spam. We won't give out your email address. Morning. How's tricks? Fancy talking about Birmingham? Okee-dokes. Bassist for The Specials and pop art genius, Horace Panter, has been exhibiting his colourful work in Moseley's Reuben Colley Fine Arts for the last couple of weeks. If you haven't been, you're not late to the party - in fact, you're bang on time. 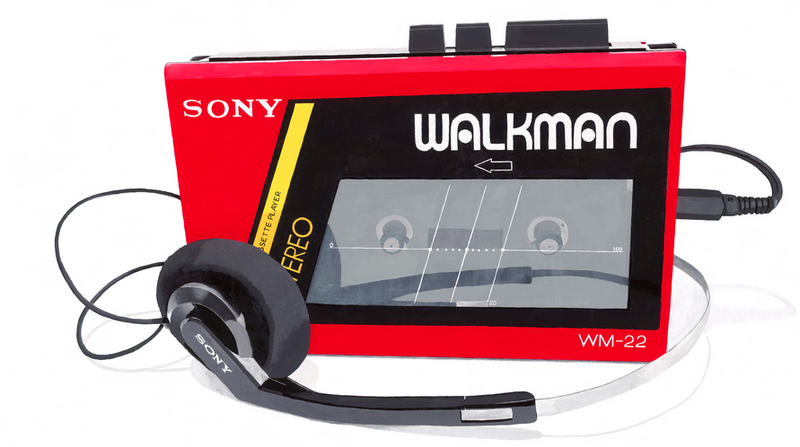 Due to huge demand they're extending the exhibition until the end of March and, today, they're taking delivery of his latest work, this enormous Walkman painting. The 3ft by 5ft original costs £7500, with 25 limited edition prints available at £750. Horace met Jerry Dammers in 1973 whilst studying fine art at university. They went on to form The Specials in 1977 and Horace travelled the world (and its art galleries) with hits like 'Ghost Town' and 'A Message To You Rudy'. They split in the early eighties and Horace became Head of Art in a secondary school, before they reformed for a second bout of ska-based success. In 2008 they played with Amy Winehouse, the subject of another of Horace's paintings currently on display. 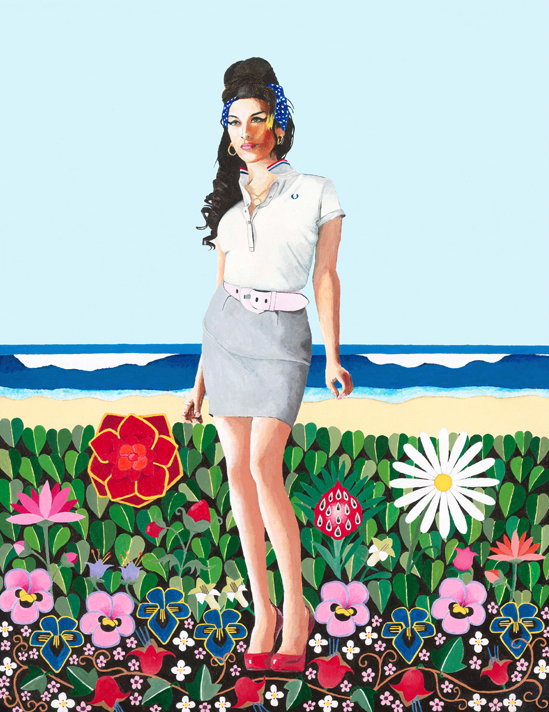 The painting was commissioned by the Amy Winehouse Foundation to celebrate what would have been her 30th birthday. A percentage of the £3000 asking price will be donated to the charity. 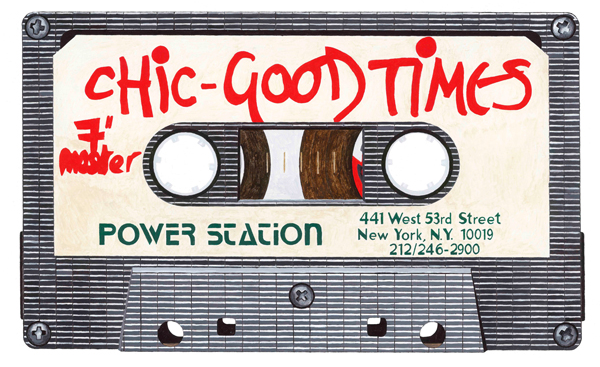 Horace is perhaps best known for his series of paintings of cassette tapes (all huge - big enough to fit into the Walkman, if they were real) which will resonate with anyone who ever made a mix tape. A print of this one, below, was bought by Nile Rodgers. See all of Horace's cassettes here. His paintings are, basically, autobiographical inasmuch as they emerge from experiences, places and people that he has met on his travels as well as from his love of music and his childlike obsession with robots. 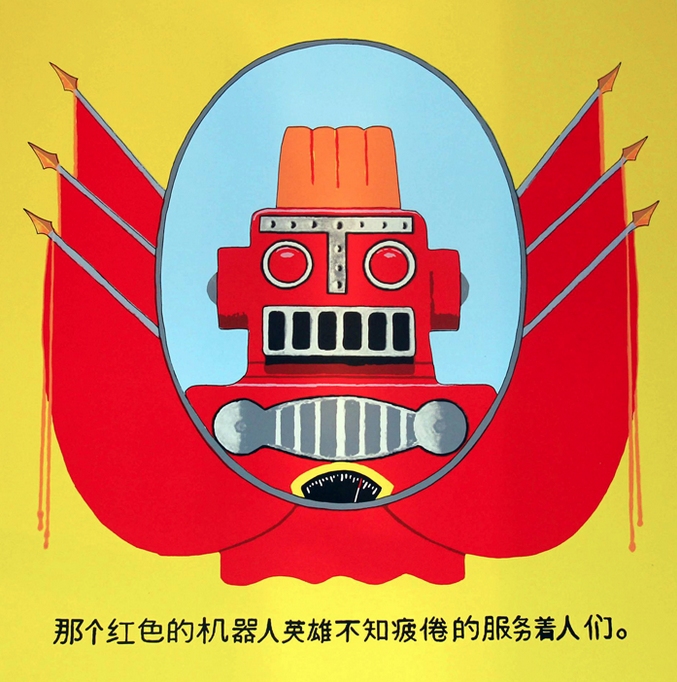 Our favourite of the exhibition is Red Robot Hero, a colour-laden piece valued at £2950, with a signed, limited edition silkscreen of 50 copies from £400. Now then, don't say we don't give you forewarning. The first ever recipe book from Birmingham's Michelin-starred TV chef Glynn Purnell, will go on sale on May 22nd. 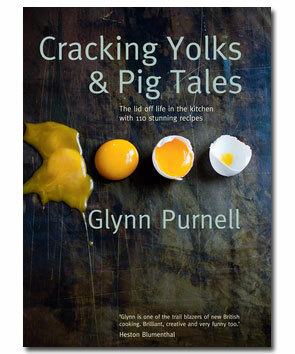 However if you pre-order now you can get a signed copy of Cracking Yolks & Pig Tales, with a personal dedication, posted to you on the day. "This is not a restaurant cookbook or a home cookbook; it’s just a cookbook," Glynn told us. "If you want to cook a challenging dish from the restaurant such as haddock, eggs and cornflakes, you’ll find it here. If you want to cook something a bit more down to earth, such as faggots and peas, it’s also here. If you want to flick through it and use it to prop up a wonky table, it’s good for that too." The book is £19.99. Two intriguing wine events are inbound and some of us are going to have to bravely step forward and drink the stuff. 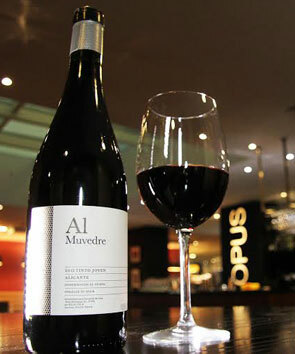 If Spanish is your tipple Opus have asked Telmo Rodriguez - a pioneer dedicated to rediscovering forgotten wine regions - to showcase award-winning drops from his Malaga and Alicante vineyards (£65 with four courses) on Friday, March 21. Call to book. Meanwhile The Electric Cinema plays host to the UK premiere of wine documentary A Year In Burgundy - and the film will be accompanied by a wine tasting when it screens on April 17. A wine expert will pause the film at opportune moments and take the audience through five Burgundies, both red and white. Tickets: £22 to £28.